Have a question about the Akona Wahoo Jr. Mask? 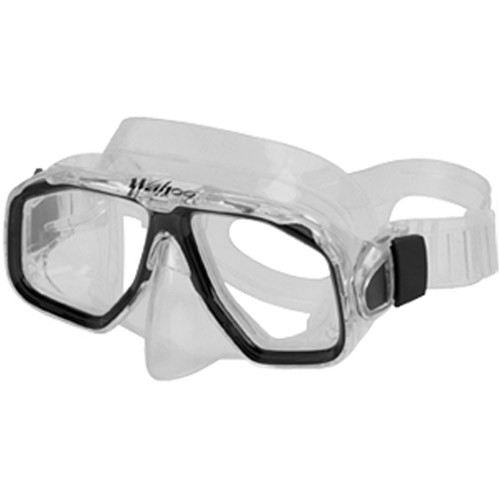 Mask has two tempered glass lenses, a liquid silicone-injected dual feathered edge skirt and strap. Quality, easy adjust swivel buckles make this state-of-the-art design a mask that will last for years of maintenance free service. The strap is a wide split strap design adding in a great seal on the face. Large one handed ear equalization nose pocket makes clearing the ears a breeze and gives this mask a low volume.